Have you ever been confused as a Christian how to juggle God’s grace with God’s Law? 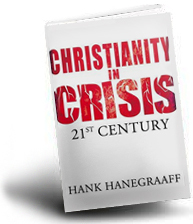 Have you come out of C3 completely scrambled how to understand your Christian faith? The below resource from Jim McClarty explains exceptionally well how Christians are free in Christ within the grace-filled New Covenant. 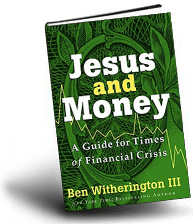 This series allows Christians to distinguish the differences between the Law, works and grace. 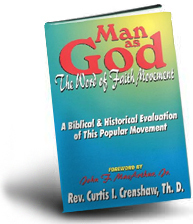 Furthermore, it tackles many peculiar Christian doctrines on the way. We are quite sure that C3 will not be big in promoting a fantastic resource like this (they need you to keep the Law so you can tithe to C3, give sacrificially to C3, be dedicated to the ‘House of God’ (C3) and to continually go to the altar of C3 so God can bless you). While Phil Pringle points you to your works, Jim McLarty points you to Christ’s finished work. While Phil Pringle perverts God’s Word and muddies the doctrines on Law and Grace, Jim McLarty clearly leads believers to understand how Christians are meant to understand God’s Law and God’s grace. While Pringle confuses believers that they are to juggle grace, works and Law with his antics, Jim McLarty logically walks believers through the scriptures allowing Christians to critically examine for themselves how to distinguish between grace, law and works. Phil Pringle binds man’s conscience by things he has made up, rather Catholic of him don’t you think? Sharing the bible’s authority with the traditions of men. First, whilst Jim McLarty is obviously a good man and dedicated to fervent study, he does take it from a presupposed position of Reformed Theology. He is clearly ministering from a Calvinist perspective. He calls himself a Calvinistic Paulinist, claiming that Paul systematised what Calvin taught, which is debatable. Second, his latest ten messages (to date) are not systematic but topical. In fact this series is essentially topical. Looking down your list of recommended books it is clear you are actively promoting Reformed Theology, with a little Lutheranism thrown in. 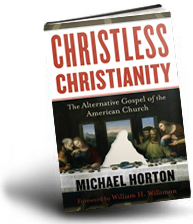 Much of the recommended list is anti-charismatic and anti-Pentecostal. That is fine, but you should declare this in a more open way if you are going to oppose groups which are essentially Arminian in their approach, although C3, as far as I can make out, has a healthy assortment of perspectives from Arminian to Calvinist to Reformed, and a healthy debate within the movement. Hillsong, on the other hand, would be closer to Arminianism, along with the rest of ACC (AOG) churches. Saddleback, for instance, is clearly Calvinist. There is a variety of positions, and methodology used in teaching across these churches. I don’t see how you could possibly make the statement that systematic teaching is not happening in C3 churches. I know that is not true. I know one minister who has told me he has considered both approaches as various time to be true, but found it more reliable to follow the scriptures themselves whilst looking at how theologians present their cases. and has obviously kept an open mind. His teaching is systematic, and is topical. 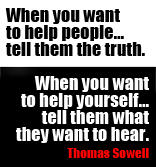 Your claims are merely your own opinion, and, I suspect, based on your perceptions. Ps McLarty has a different ministry to anyone at C3 or Hillsong. He is essentially a teacher. His influences are primarily Calvin, a little Luther and a whole lot of Reformed Theology. Making comparisons is schismatic. Jim has to go along with what he believes God is leading him to do. I do not mind his work, I do not agree with all of it, but generally his spirit is good and he presents scripture well, if based on a strong Reformed base. But I appreciate it. So this is not a criticism of his theology, but a concern about the way you are making a false case by comparison between people with completely different calls. Incidentally, what he says about law and grace is very similar to what I have heard in Pentecostal circles, but from a different angle, and with a different presentation. But you are doing exactly what he says is law and against grace by making a law for one based on the same precepts you attribute grace for another. I was making the observation that your recommended resources on the left of this page are almost exclusively either Reformed Theology with a couple of Lutheran sites. I made no comment on the makeup of your contributing team. How could I know who is on your team or which church they might attend, or even how many there are who contribute since most of your posts are anonymous? Perhaps a list of contributors on a separate page would be helpful and solve this problem. But I don’t know how you could level the accusation that I am a liar for simply not knowing who you are or what your beliefs are. I was making an observation based on the lists you gave. Rick warren has himself declared that his influences include Calvin. His book, Purpose Driven Life, is filled with Reformed ideology. You accuse me of idol worship of C3 but give no grounds for your accusation. If a person asks for a better explanation of your reasons for making a comparison for another ministry there is no possible way you could misconstrue that as worshipping one or the other. It would be like me saying you idolise Ps McLarty because you emphasise his teaching. That would be ridiculous. All I did was point out that Ps McLarty teaches from a particular standpoint of Reformed Theology, you support this, and promote Reformed resources. How that makes me either an idol worshipper or liar is beyond reasonable comprehension. Neither have I attacked you or your site. I have made comments, that is all. Perhaps you prefer people to flatter you instead. Well that’s interesting to know, Ethel, but anyone who knows the first thing about Warren understands that the only time he isn’t talking drivel is when he isn’t talking at all, so whatever he says is best ignored. Warren’s book, like his utterances, is a load of unmitigated tripe. He’s even more of a chameleon than you are Ethel, which is really saying something. Talking of influences, I was just wondering about your take on Phil Pringle. Do you consider his doctrine to to be orthodox? We would like to point out that while we are helped by reformed theological writings, quite a few of our writers and editors consider themselves arminianist, evangelical, pentecostal and charismatic. We actually pulled some charismatic and pentecostal resources because we started to evaluate that they were going on a tangent. One thing that is apparently clear Ethel is your ability to have your brain wired to create scarecrows (aka straw men). It appears you like to discredit anything we say or what pastors say in the name of defending your idol worship of C3. Let’s look at your comments more closely. Not true at all. That is a downright lie. We are proud that our writers, contributors and supporters come from C3, Charismatic, Baptist, Pentecostal, Lutheran, Anglican, Reformed, non-denominational and even Uniting Church backgrounds. 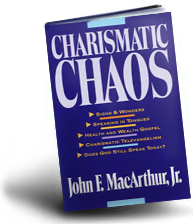 Charismatic Chaos is probably the most anti-Charismatic and anti-Pentecostal book we promote. Even though some of our writers/contributors do not hold to MacArthur’s cessationist views – this does not disqualify what he says in regards to the cult-like and spiritual abuse that continually happens within this particular movements. 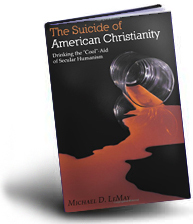 We do believe what he addresses in his books helps Christianity in general. 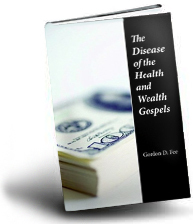 However, we purposely chose books that tackled false doctrines, mainly false doctrines on tithing, the prosperity gospel and false doctrines surrounding the Holy Spirit. We removed other books from Dave Hunt, Wilkerson and Hanegraff. Our charismatic writers/contributors on C3CW warned us these men were on the cusp spiritually on certain doctrines and attitudes towards the world and the church. On the other hand we are in support of Matt Slick CARM.org ministries who is a reformed Charismatic. We do not see it as our job to promote ageless arguments such as Cessationism vs Continuationism, Calvinism vs Arminianism or the wide range of ecclesiological and eschatological views. We understand that it is impossible to remain neutral but we will attempt to do so. If discussions of that nature do emerge on C3CW or H$CW, then those discussions can happen elsewhere. We agree as well. Both topical and systematic approaches to the bible have their strengths and weaknesses. If you do know a C3 Church that does promote systematic theology, we would love to listen to them. That would be refreshing to see and hear. We thought it was worth clarifying above since you raised a good point. However, we need to tow the line with your lies. Read our article again. 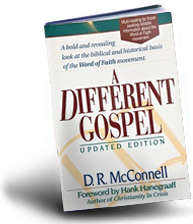 We specifically encouraged people to, “pull out their bibles and challenge what Jim McClarty teaches. Come to your own conclusions and enjoy the spiritual benefits that you have in Christ”. In this article, we are not encouraging people to embrace our opinion. We are encouraging people to test what even Jim McClarty says in the name of God to the Word of God. We believe that as long we encourage people to examine what any teacher says to the bible, God can speak to people and set them free. However, your continual billigerence and wretchedness is putrid. Your obsession to tear people down who fairly dare question or expose the cult-like behaviour of C3 is two-faced, arrogant and disgraceful. We know you are a smart man. However, C3 has some-how put blinkers on your intellect. When people clearly point out your theological inconsistencies – you retreat back into your denial. So while you can come across as intellectual, your theological and spiritual bankruptcy is continually put on display when you refuse to address your blind spots. You need to deal with your major inconsistencies if you would like your criticisms to hold weight. As we have said before: Go away. We are open to criticism – but you don’t criticise. You continually slander us unfairly to protect your C3 idols. If you want to call yourself a Christian, stop twisting what we say and stop accusing us falsely. You do God no service by lying like this. You only bring God’s name into disrepute just like Phil Pringle does. C3 clearly has nothing to do with Jesus. It is a cult. “But you don’t understand, I’m whatever I need to be!” Rick Warren seems to say in a vain attempt to be like the Apostle Paul. However nowhere in the NT do we see Paul being accused of being a chameleon as so many have said of Warren. But fortunately Warren’s pragmatism is now very evident to the discerning. “Rick Warren tailors his appeals to his audience. To Calvinists, he stresses his support for the “solas” of the Reformation. 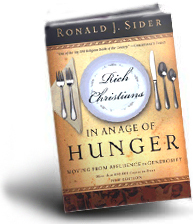 Yet he tells prosperity evangelist David Yonggi Cho, “I’ve read your books on Vision and Dreams – speak to pastors about how you hear the voice of the Holy Spirit?…What advice would you give to a brand new minister?…Do you think American churches should be more open to the prayer for miracles?” (“Breakfast With David Yonggi Cho And Rick Warren,” Pastors.com). Seriously (not) – if Phil Pringle lifts his game a notch, he may even score an invite to Saddleback like Brian Houston. Whether it is well written or poorly written in your opinion is neither hear nor there. The book is clearly rife with Reformist ideology. By his own admission he is influenced by Calvin, as I said earlier. He also calls himself a Kuyper Calvinist, meaning he embraces a political application of Calvinism as well as a theological application, whereby God is Sovereign in all spheres and the will of man has nothing to do with it. Absolute rubbish. Warren is nothing more than an ignorant grandstander who is looking for some theological credibility; he’s about as “upsetting” as a mosquito in a hurricane. His time to give an account will come soon enough – no doubt all too soon for him – and then what is inside the cup will be plain for all to see (even for those as short-sighted as you, Ethel). Do you consider Phil Pringle to be doctrinally orthodox? You tell ~us~ what is orthodox, Ethel, and whether in your opinion Phil Pringle departs from that in any way. It’s your question. I did not raise it. You define orthodox.